Reverie are acknowledged in the industry worldwide as being a highly accomplished and skilled Carbon Fibre composite design, repair and manufacturing company with over 19 years experience of crafting the finest Autoclaved Carbon Fibre composite parts from alloy or Carbon composite tooling. 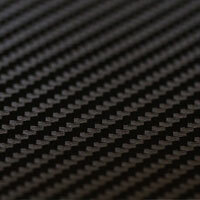 We supply to the UK and export to overseas businesses and retail consumers with bespoke or batch produced high quality, repeatable Carbon Fibre parts. We also offer a diverse range of composite parts for electronics, communications, marine, home, construction and automotive markets, and we also offer a repairs service for all projects big or small. We can design and manufacture genuine A-surface composite tooling for high volume manufacturing use. Damaged race car composite panel repair quotes and fast turn around. We also pride ourselves in having our own branded parts used by companies and teams all over the world, our former and current clientele have included names such as, Jordan F1 Grand Prix, AER Engines, Citroen WRC, Cosworth Electronics, Lotus Sport, Gigawave Motorsport, Gurit, Foggy PETRONAS, Gibson technology and many more companies that have been satisfied with the Reverie quality of goods. At Reverie, we can guarantee that through our extensive experience, ISO 9001:2015 certification and autoclaving processes tied in with our ability to machine patterns, or epoxy moulds or accurately trim composite parts using our 5 Axis CNC router, and checking of accuracy using our FARO inspection arm or white light scanner, you will always be sure that you are receiving the highest quality carbon fibre goods on the market. NOTE: Reverie will be having a summer shutdown from 12/08/19 to 16/08/19 inclusive. Browse through a selection of the products and accessories we manufacture or view the full range in our Automotive shop. 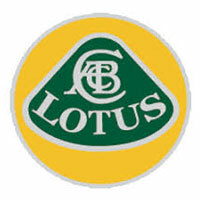 Alternatively view our Lotus and Universal Automotive Parts brochures. We manufacture Carbon Fibre flat sheets from 0.3mm to 5mm thickness and also lightweight foam core, alloy honeycomb and Nomex core sandwich panels. 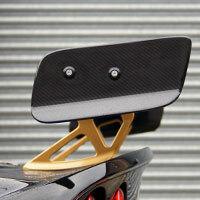 We also manufacture Carbon Fibre angle an strips. 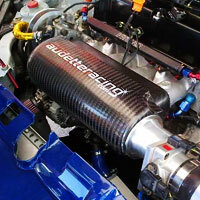 We manufacture lightweight high performance air boxes for road and race cars. Our range covers 4 cylinder engines up to V12 normally aspirated or turbocharged. A range of accessories are also available. Extract more performance from your engine with our lightweight air induction kits. Complete with high performance air filter and ducting allowing fitment to most vehicles. Accessories are also available. 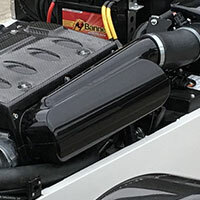 Carbon Fibre air intake plenums designed for 4 and 6 cylinder engines to increase performance and throughput of air. Available with quick release connectors. Available in left or right hand fitments. 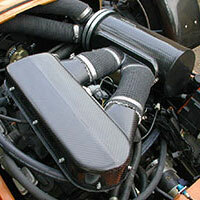 Carbon Fibre air intake plenums designed for 4 and 6 cylinder engines to increase performance and throughput of air. Available with quick release connectors and accessories. 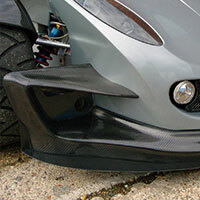 We manufacture Carbon Fibre rear wings for high perfomance cars that maximises downforce at the rear. Many feature adjustable AoA to fine tune performance. Wing mounts also available. Designed to increase downforce at the front of the vehicle, our Carbon Fibre spoilers and splitters are lightweight and can be modified to fit most performance cars. 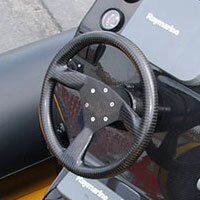 Our lightweight Carbon Fibre steering wheels have been used in the WRC and are available in a range of different drilling patterns including Nardi, SPARCO and OMP. We manufacture a range of bodywork panels for various cars from Carbon Fibre including side sills, wheel arch kits, door handle covers. 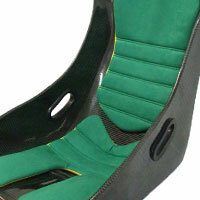 Our lightweight Carbon Fibre bucket seats are designed for road or race applications and we also manufacture FIA approved seats. Available trimmed or bare. 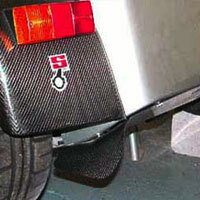 Increase rear downforce with our rear diffusers. 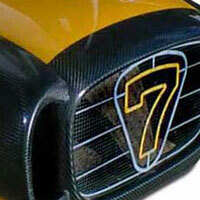 Our diffusers can be joined together to form wider diffusers to suit the width of your car. 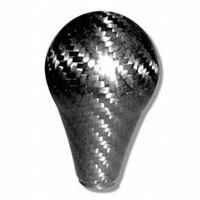 Gear shift knobs, suitable for most cars, manufactured from either Carbon Fibre or Silver Texallium. Lightweight and comfortable grip.